Today: You're not always in the mood for mush. 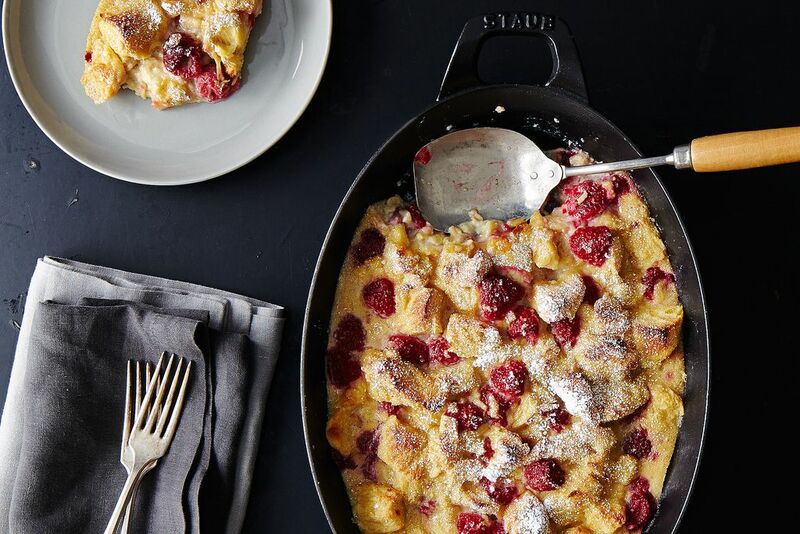 But when you are, this bread pudding is what you should make first. Bread pudding does not even make my Top 5 Desserts* list -- we should probably start with that. I feel altogether apathetic about bread pudding. It is allowed to exist simply so that restaurant menus appear longer and more varied. Bread pudding is mush. It is the hot oatmeal of desserts. More: In defense of mush, in the form of pumpkin grits and muesli. But sometimes you wake up in the morning, particularly on a cold, snowy morning, and hot oatmeal sounds like the best idea you’ve had in your entire life. And on that cold, snowy evening, bread pudding pushes more structurally-sound sweets out of the spotlight for the same reason. Mush has its moments. Mush is occasionally exactly right. You have an aging loaf of bread in your house and need to make use of it. All you have is an aging loaf of bread in your house (plus eggs) and you have guests coming over in an hour. You spent a lot of time thinking up the menu for your dinner party and need a simple but luxurious-seeming dessert. 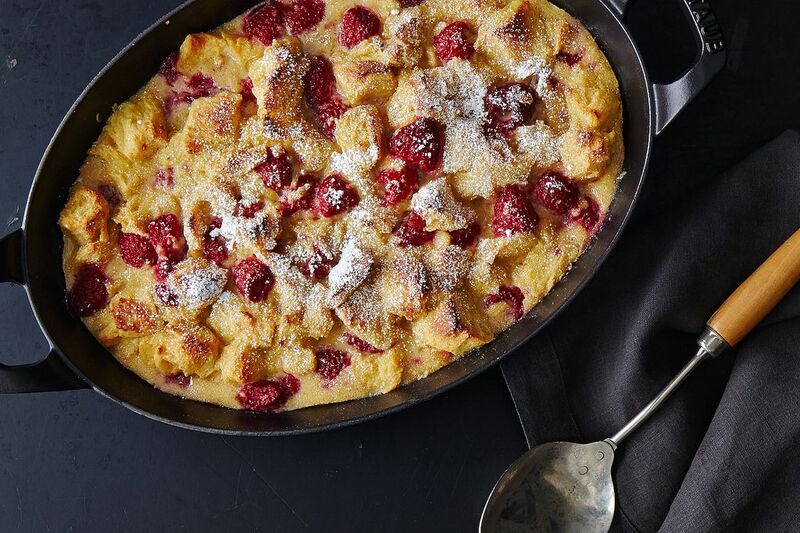 Challah starts this version off with a spongy and slightly sweet base, and the raspberries brighten it up with pops of flavor and color. It is also wildly simply to throw together, requiring truly only one bowl in addition to the baking pan. Wait until the moment is right, or don’t wait at all and start now. * My Top 5 Desserts, if you are curious, are ice cream, cobbler, crumble (not the same!!! ), gummy candy (I uphold this counts as dessert), and crême brûlée. From the author's comments, I have to conclude that she has never made mush because good bread pudding doesn't turn out anything like mush. Bread pudding should not be mushy. Yes I made a bread pudding just last night with a loaf of pannetone I had left from the holidays! Could not have been easier. Served warm with a brandy sauce during the Oscars. Standing ovation!